Now That The Shoe Is On The Other Foot . . . .
Last night, in what must be one of the most remarkable displays of courage by a Baker City Council in many years, four Council members stood up in the face of well orchestrated opposition from meticulously groomed and some say, bought-off, City employees, and other minions. To the surprise of many, they voted to fire the City Manager. After 2 plus years of turmoil and poor treatment by the City Manager of Councilors and citizens alike, a majority of the Council finally said "Enough is Enough" and elected to exercise the power given them by the City Charter. What follows are a few short excerpts of the meeting, which do not include what appeared to be unprofessional attitudes displayed by City employees toward the City councilors who voted to remove the man responsible for their recent generous bonuses, salary increases, and other perks in the face of our current deep recession. Milo Pope alleged that there must have been a violation of the State's public meeting laws and stated, "I'm going to sue you all!" Planning Director Don Chance was brought in from elsewhere by ex-City Manager Steve Brocato. His charge, under the umbrella of revamping and "modernizing" our planning ordinances, was to change the face of Baker City so as to make it more appealing to those not comfortable with the lifestyles of Baker City's low income residents. He is a primary architect of the new property maintenance ordinance created largely at the behest of real estate and redevelopment interests, and those who don't understand that many low income people here are simply doing the best they can with the hand that they have been dealt in life. If the ordinance passes in its current form, the poor will likely be swept out of Baker City, and unfortunately, for many, there is no where else to go. All this to make their town more attractive to outsiders like Mr. Chance and his assistant, Mike Pena, so that developers and speculators can attract more buyers from urban areas. Mr. Brocato went out of his way to accommodate the needs of Mr. Chance so he could live in Washington State. Although Mr. Brocato promoted Mr. 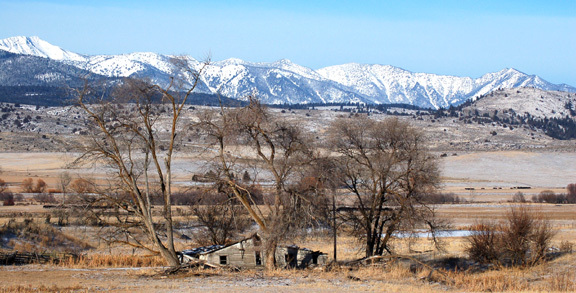 Chance as a person with a stake, and with concern for the people of Baker City, according to the Assessor's records, he doesn't own property in Baker County. Mr. Brocato arranged to privatize the Planning Department under Mr. Chance so that He could spend more time at home with his wife in Washington. Mr. Brocato purchased his constituency on the backs of Baker City taxpayers by giving promotions, bonuses and raises to the city staff that works directly under him, by giving generous cost of living raises to contract employees, and by providing an expensive new building to the Police Department. Not all city employees care for Mr. Brocato, of course, and many chose not to participate in the spectacle, despite pressure from above. The impression given by many higher echelon employees at the meeting, and reiterated by some on the Council, was that the worth of Baker City all revolves around the administrative city staff, and that they, instead of elected officials, should be making the decision about whether the City Manager goes or stays. Among the recipients of the raises, bonuses, and/or promotions, included, among others, Jennifer Watkins, Jeanne Dexter, the Police Chief and the Fire Chief, all of whom were very vocal supporters of their patron at the Council meeting. But even then, their public statements may not reflect their true feelings in every case, because after all, if Mr. Brocato had been retained, their continued employment would still be at his whim. If asked to show up to defend him, what were they supposed to do? Jennifer Watkins, the new Assistant City Manager, who was a triple winner last year, with a promotion, a bonus, and a raise, clearly stepped outside the bounds of professional conduct in her advocacy for Mr. Brocato during the meeting. Others were disruptive beyond anything seen in recent years at a City Council meeting. For better or for worse, their well orchestrated show and disruption was not seen by Baker City residents, as they likely intended, because the meeting was not broadcast, apparently due to technical difficulties. The following is a clip of some of their antics. Note that the words "Point of order, Mr. Mayor," are not forthcoming from Mr. Brocato, Mr. Bryan, or Mr. Pope. Those words are reserved for viewpoints they don't like. Also note that as the camera whizzes by, both Mr. Brocato and Ms.Watkins have joined in the disruption by clapping, which is behavior Ms. Watkins engaged in throughout the proceeding. It was good to see her finally becoming a protector of free speech when the Mayor decided not to cooperate with the spectacle that the city employees had arranged. Notice also how Rich Langrell was removed from the area of the Council by the Police Chief when two other citizens were allowed to harangue the Council at their seats. Giving unwarranted or ill-advised bonuses, raises and promotions to City employees is a legal form of the patronage system made famous by ex Chicago Mayor Richard J. Daley and many earlier scalawags. In this case, city employees, most exceedingly well compensated by Baker City employment standards, were asked to come to the Council meeting by department heads or others to engage in political activity on behalf of their patron, Steve Brocato. It is a game that is as old as human civilization itself, and most Baker City citizens can clearly see right though the self-serving, obsequious behavior. One such citizen was Richard Langrell. At the end of the meeting, three Councilors talk about the decision and the Council. For a good Herald article about Brocato's removal, see City Council fires Brocato, http://www.bakercityherald.com/Local-News/City-Council-fires-Brocato . I hope to fill in the blanks as time becomes available, but the rest of the week is tentatively booked.